Hyderabad: To raise awareness about organ donation, IPL team Sunrisers Hyderabad joined with Apollo Hospitals and state-run organ donation programme ‘Jeevandan’ to sensitise people on the need to donate organs. Sunrisers Hyderabad team members Muttiah Muralitharan, Kane Williamson, Ben Cutting, Siraj Md, along with Apollo Hospitals joint managing director Sangita Reddy, Jeevandan incharge Dr G Swarnalatha among others took a pledge to donate organs and encourage others to come forward and pledge their organs at a event organised in Apollo Hospital here. “There is a huge discrepancy between the number of organs available for transplantation and the people who need them. Over 1.6 lakh patients are waiting for organ transplantation, because we don’t have adequate organs available through organ donation. Therefore the need of the hour is to educate the populace about organ donation,” Sangita Reddy said. 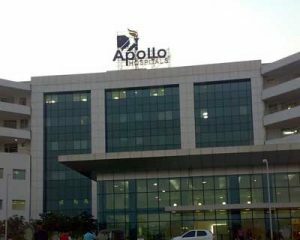 According to Reddy, Apollo Hospitals runs the world’s largest multi-organ transplant programme helping patients. Every year 5,00,000 people die because of non-availability of organs in India and currently, about 600 organ donations happen every year in the country, which is a significant progress from the 1-2 per year about half a decade ago, the doctors at the Apollo Hospitals said.